Styled with gabriel pant and floressa sweater . See this in a solid colour Wool-Cashmere, Alpaca-Wool or Virgin Wool. 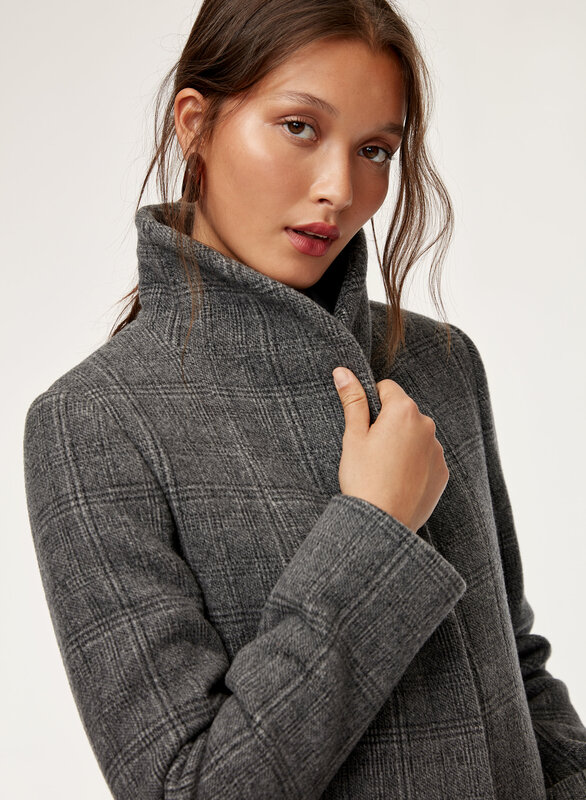 Expert tailoring and refined attention to detail make the Cocoon coat a luxurious everyday essential. The windowpane check adds subtle texture to this simple staple. The look and feel of the coat is lovely! Arms are a bit tight , ordering a size up will help. So glad I splurged on this coat as it is flattering at all with straight silhouetteI and get compliments on it every day. This stylish coat is striking and so easy to co-ordinate. Paired with jeans or thrown over a chic dress, it’s the one you’ve been looking for plus the plaid really adds subtle texture to this simple staple. I ordered a xxs in size and it was perfect even pairing with a thick sweater underneath also the collar can keep me warm without scarf. I like this coat so much. The grey color is very nice. XXS fits me well as I’m a petite size. I’m so happy that I decided to invest this coat. 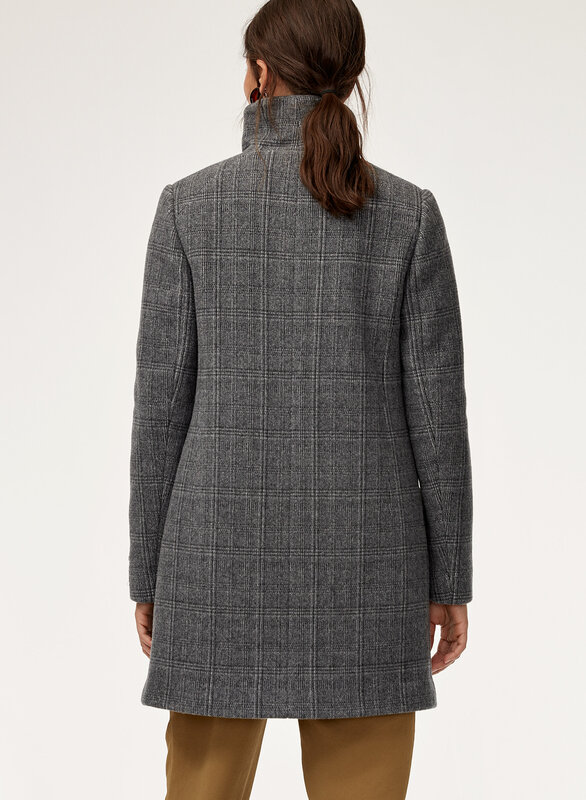 I have been eyeing the Wilfred Cocoon wool coat for a while now and I finally decided to invest in this plaid patterned one because it was definitely love at first sight! 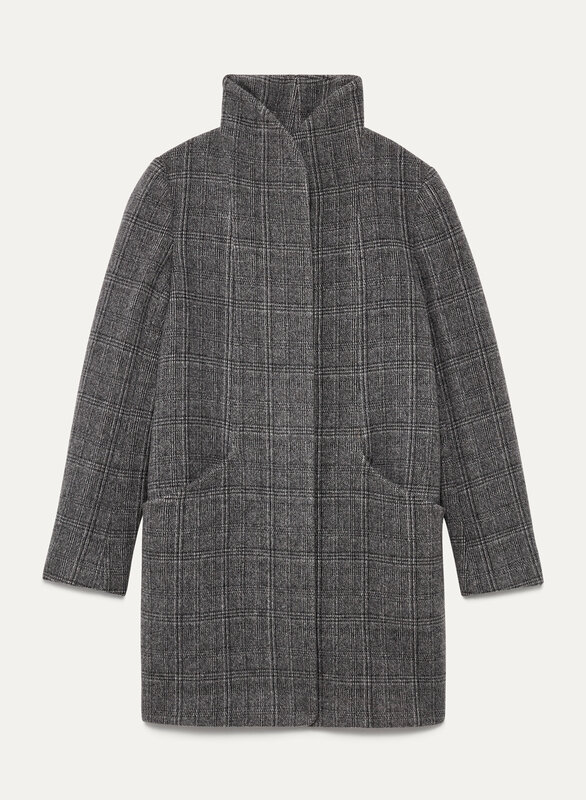 The Wilfred Cocoon coat comes in many different colours but I have never come across a patterned one until now and I love the subtle yet classic plaid pattern on this coat. I own a couple other Aritzia wool coats that are all solid colours so having a patterned one really sets this one aside from all the others. 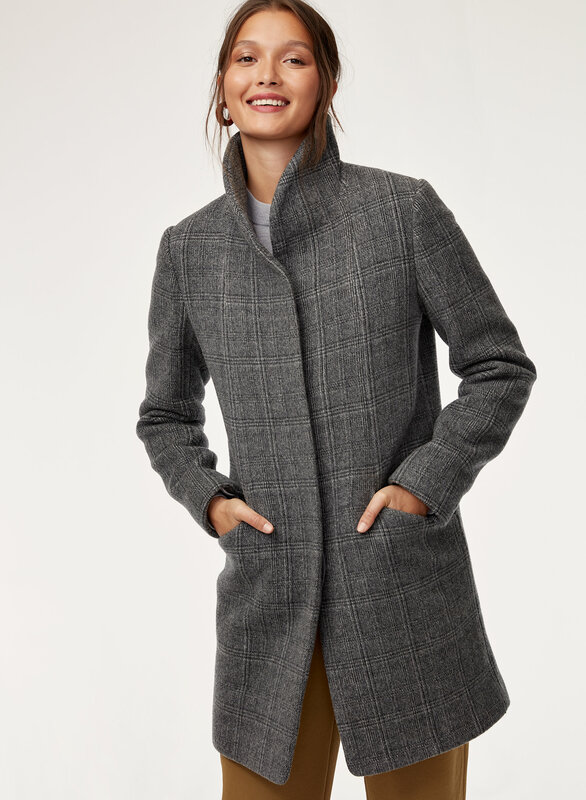 It is super soft and warm for a wool coat and it goes perfectly for casual or outings. 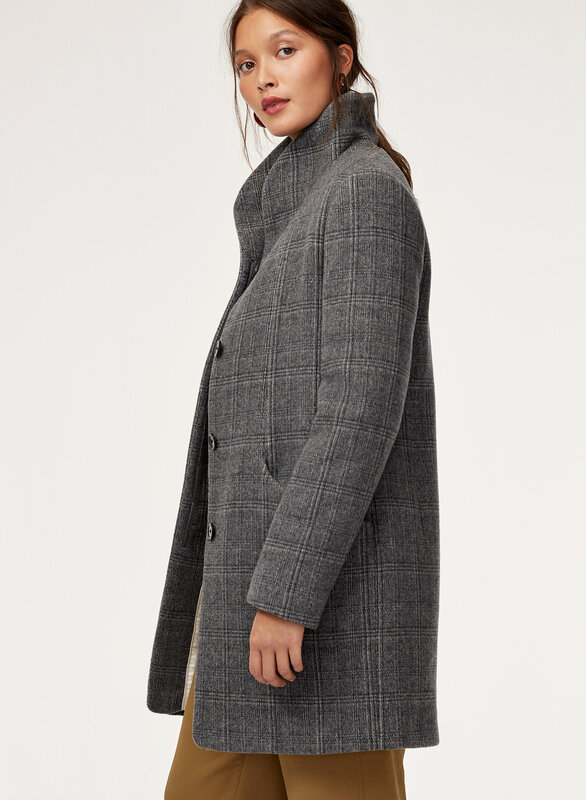 I am so glad I finally invested in this wool coat!